The Dineh who have stood as a literal blockade against coal development in Northern Arizona for the last 40 years face a new challenge as Peabody Energy seeks to expand its mining operations. This October, as many Americans returned to work after their Columbus Day holiday, rural Dineh, or Navajo, communities in the Black Mesa region of Northeastern Arizona were rocked by an invasion. SWAT teams descended upon this remote region, navigating unpaved, washed out roads, while drones and armed helicopters flew overhead. Why? They were there for the sheep. For nearly two months, Hopi Rangers, with the backing of the federal Bureau of Indian Affairs, or BIA, and the Department of the Interior, have been impounding the livestock of the Dineh residents of the area now known as the “Hopi Partition Lands,” or HPL. The official justification given is that residents’ herds exceed the size allowed to them in permits, and that they are, therefore, overgrazing and causing harm to the land in a period of prolonged drought. Scorched earth campaigns — or efforts to weaken a people by separating them from their food source or decimating their infrastructure — have long been employed by the U.S. government against indigenous peoples. These campaigns are always a precursor to a forced removal to open native lands to non-native settlement or corporate use. The sheep being impounded from the communities on Black Mesa indicate the continued use of scorched earth policies by the federal government and the continued use of Black Mesa as a resource colony for ever more unsustainable Southwestern cities. The BIA and Hopi Rangers claim that they gave residents ample notice, beginning in mid-August, to reduce their herds. Residents themselves say that the notices were unclear and seemed to indicate that they had a year to reduce them. 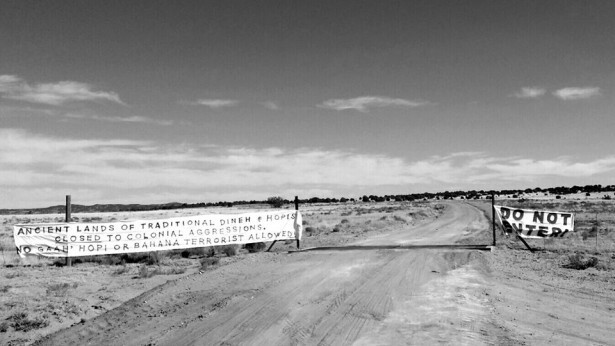 The pre-dawn impoundments are often carried out aggressively and, in several cases, there have not been Navajo translators present for the Navajo-speaking residents. According to Milayia Yoe, the Hopi Rangers came to her homestead on the morning of October 28 and impounded 120 of her aunt’s sheep. Impoundments are causing fear and stress amongst the Dineh on the HPL. Beyond being a major food source, traditional Dineh consider sheep sacred. Thus far, rangers have impounded three families’ herds, totaling over 300 sheep. 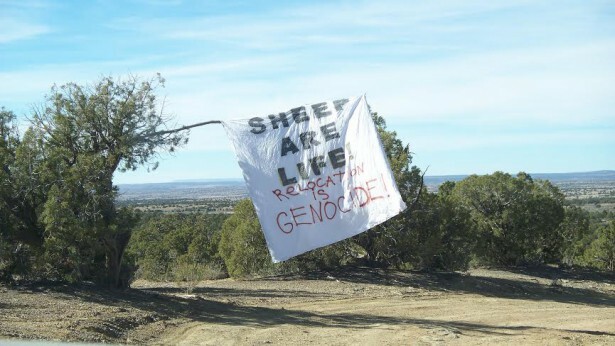 In order to get their sheep out of impoundment, families are required to pay, on average, between $1,000-$2,000, and some — as a “condition of release” — are being made to sign a statement identifying themselves as trespassers on their own homelands. To make matters worse, the rangers are telling residents that they cannot return their sheep to the HPL. As a result, many of the impounded sheep have been auctioned or sold. Residents are organizing against this current threat to their sovereignty with several strategies. Some are securing their homesites and some are researching what legal recourse they have. They are calling for unity during this time and will soon be releasing a national call to protest at BIA and Department of Interior offices. On October 30, several community members gathered in Window Rock, Ariz., the capital of the Navajo Nation, to meet with Navajo Nation President Ben Shelley and demand an end to impoundments. Others stayed at home and figured out ways to hide their herds, in case they were targeted next. The wide-scale impoundments and the charge of trespassing point to the threat that the Dineh living on the HPL have faced for the last 40 years, namely forced relocation. About 300 Hopi and a conservatively estimated 16,000 Dineh (there has never been a nearly complete count) have been forcefully relocated from the former Joint Use Area since the passage of the relocation law. This constitutes the largest forced relocation of indigenous people in the United States since the Trail of Tears in the mid-19th century. The relocation law is still active, meaning that the Dineh living on the HPL and resisting relocation are technically violating the law by remaining on their ancestral homelands and maintaining their traditional ways of life. In reality, the Hopi and Dineh are peoples who co-existed in close proximity and relative peace before corporations realized the extent of the mineral deposits beneath their tribal lands. The corporate interest in the coal, specifically, led to the fabrication of an “intertribal land dispute” or “range war” that was widely publicized in national media outlets by the public relations firm Evans and Associates — hired by the lawyer for Peabody Energy (then Peabody Coal). This spurious conflict justified a federal intervention in the form of the relocation law, which conveniently cleared the coal-rich land of most of its residents and opened it up to corporate mining. The coal found under Black Mesa is low-sulfur, close to the surface, and forms the largest deposit in the United States, making it a dream find for mining companies looking to secure long-term mineral rights. Many companies, however, believed that the coal could never be touched because it sat beneath reservation lands. By 1966, Peabody secured the leases to begin mining the coal under Black Mesa with the help of John Boyden, a Mormon lawyer who — now famously, in a profound breach of legal ethics — represented both the Hopi Tribe and Peabody in the negotiations. 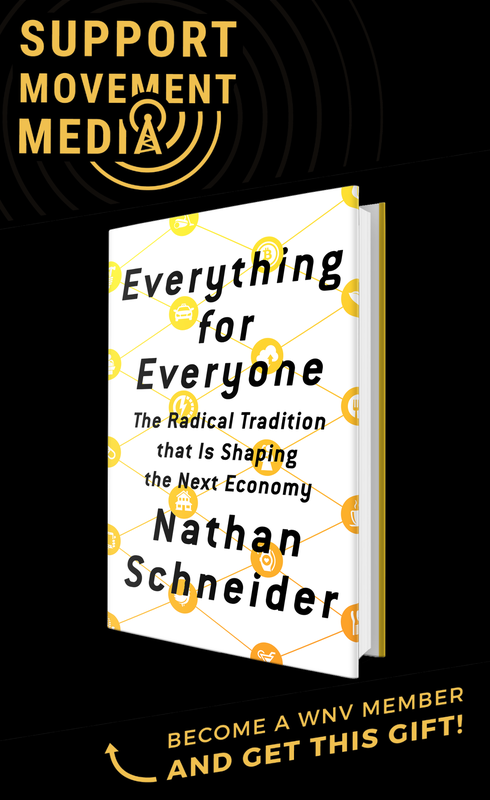 Boyden was invested in having the coal mined and went to great lengths to make it happen, forming a compliant Hopi Tribal Council and redrawing reservation borders. Boyden also wrote the final version of the relocation law presented to Congress by Utah congressman Wayne Owens in 1972 and signed into law by President Gerald Ford in 1974. 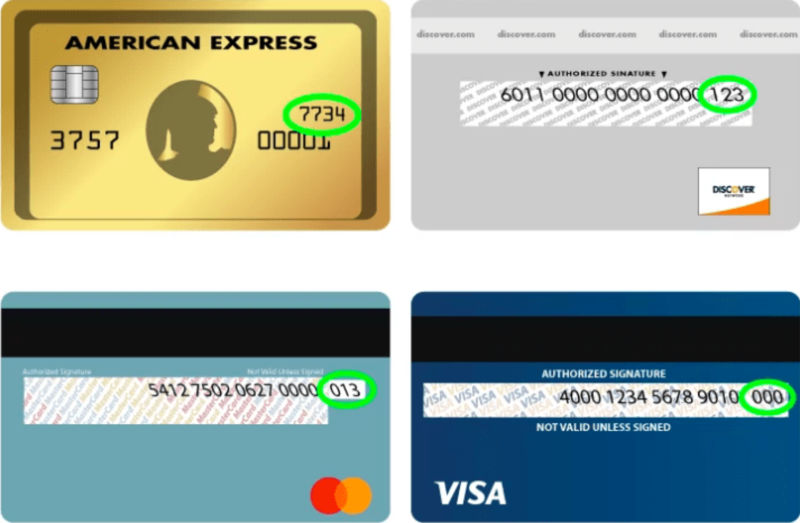 Boyden, who exacted enormous legal fees from the Hopi Tribe during his tenure as counsel, has his fingerprints on every aspect of the relocation and mining on Black Mesa. Traditional Dineh and Hopi believe that the coal, along with the other subsurface minerals, is paramount to the health of the land and that it must remain in the ground. Yet, traditional indigenous people did not have an official seat at the table with the federal government. That seat was reserved for tribal councils, which were formed by the 1934 Indian Reorganization Act and operate largely as liaisons between tribes and outside corporations. In 1979, recognizing that their values were not being represented by their own tribal government, over 300 traditional Dineh from the Black Mesa region signed the “Declaration of Independence of the Sovereign Dineh Nation,” which traditional Hopi supported. For many, the spirit of the declaration remains and informs their community organizing today. The commonly heard phrase “sheep are life” indicates the centrality of food sources to sovereignty. Residents recall the many Hopi who fought against the passage of the relocation law. Indeed, coal mined on Black Mesa is the primary power source for major Southwestern cities like Las Vegas, Los Angeles, and Phoenix. Electricity from Black Mesa coal runs the system of pumps that supply water from the Lower Colorado River Basin to these desert cities. The so-called sunbelt boom would not have happened without the power generated from Black Mesa coal. In its over 40 years of operation, Peabody Energy’s two surface mines on Black Mesa have extracted approximately 400 million tons of coal and been the source of an estimated 325 million tons of CO2 discharged into the atmosphere. They have damaged countless graves, sacred sites and homes, devastated a once-flourishing ecosystem, and depleted 70 percent of an ancient desert aquifer. The Dineh are pointing to the inordinate amount of water that was extracted to run the slurry as the source of drought and pollution rather than their sheep. Peabody shut down one of the two mines — the Black Mesa Mine — in 2005 rather than comply with Clean Air Act emission standards. The Mohave Generating Station shut down the same year after the Navajo Nation and Hopi Tribe passed resolutions ending Peabody’s access to the Navajo Aquifer’s water. However, Peabody’s Kayenta Mine remains operational and continues to pollute the air and water, as well as damage the sacred grounds of Black Mesa. Coal from the Kayenta mine — about 8 million tons annually — is processed at the Navajo Generating Station, or NGS, in Page, Ariz. It was built by engineering giant Bechtel and is now run by the Salt River Project, a large public-private energy partnership and member of the “bill mill” known as ALEC, or the American Legislative Exchange Council, which helps draft corporate-friendly legislation. The federal Bureau of Reclamation uses more than a quarter of the electricity from the NGS to provide water, via a series of pumps, pipelines and aqueducts to Phoenix and Tucson. Presently, there is no source to replace the electricity that runs the system that lifts water over mountains and across canyons to those Southern cities. The federal government, therefore, has a vested interest in keeping NGS running. Currently, Peabody seeks to combine the Kayenta Mine and the NGS leases under one renewal permit that would allow the facilities to continue operating past their 2019 deadline for expiration. Since, according to the Department of the Interior, the Kayenta Mine lease area will provide only enough coal to power NGS until 2026, part of the lease renewal includes expanding mining into the lands adjacent to the Kayenta Mine and reopening the defunct Black Mesa Mine — the equipment for which remains intact on Black Mesa. Instead of calling it a re-opening of the Black Mesa Mine, however, they are referring to the expanded permit area as the Kayenta Mine Complex. Were this approved, it would mean further incursion into the HPL, which is occupied by the Dineh relocation resisters and their sheep. This explains the impetus for the impoundments. The resilient resistance communities of Black Mesa have stood as a literal blockade against mine expansion for the last 40 years in the face of a massive forced relocation, attempted cultural genocide, surveillance, harassment and livestock impoundments. 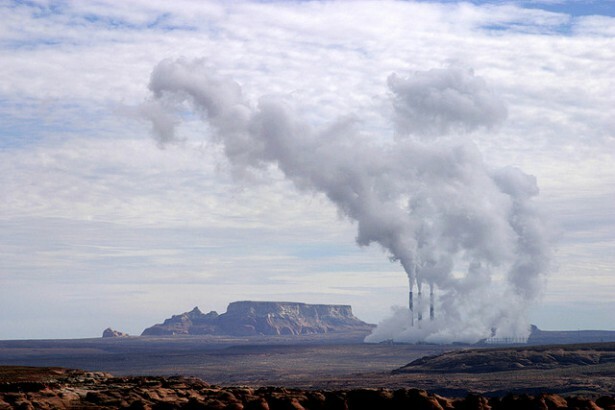 According to the Cultural Review for the Kayenta Mine Navajo Generating Station Environmental Impact Stmt, there are only 110 letters, they don’t say pro or against mining, ONLY 110 letters commenting on the KMC-NGS – EIS. More letters are needed to oppose the Life of Mine Permit, which is slated to destroy and mitigate sacred sites, relocate families in the mining permit area, more than 17 families are focused for relocation in the 2008 EIS. The application period for Relocation Assistance has closed to any child born after 1970. Not included in the EIS. There will be 16 chapter meetings to focus on the impacts of the mining on sacred sites, anyone who cares can at least send a letter to – seto@usbr.gov as the rest of the EIS public scoping is closed officially. There are revised mining permit applications with some details here http://www.wrcc.osmre.gov/initiatives/kayentaMineComplex.shtm While the scoping process with BurWreck may be over, there is usually a comment period when a Draft Environmental Impact Statement (DEIS) is issued, before a Final EIS and Record of Decision (ROD) are made. NEPA does matter for mining on Indian Lands. We need technical researchers and advisers who can commit to spending some time on this in the next couple of years. People on the land need sheepherding witnesses, too. Contact BMIS or your Regional Coordinator, thank you!